What comes to mind when you think of estate planning? Perhaps the ideal image is a family relying on an experienced, trusted attorney to guide them through the ups and downs of life, helping them work out the legal issues surrounding illnesses, deaths, and other major life events. What most of us don’t think about when we consider estate planning is an unqualified, or even unlicensed, individual producing cookie-cutter estate plans that may or may not work as intended. However, this and do-it-yourself software/websites are faces of the estate planning industry. Estate planning is a unique and highly complex area of the law. It requires knowledge of family law, business law, tax law, real property law and probate practice and procedure, and a laundry list of other areas. For an attorney to truly focus on estate planning, extensive education and training are required. This begins with seven years of higher education – four years in college and three more years at an accredited law school. Then, a new law school graduate is required to take and pass a rigorous state-specific bar exam to demonstrate their ability to counsel clients before being licensed to practice law. Maintaining that license requires work, too. In most states, attorneys are required to pursue continuing legal education each year. Unethical behavior results in the loss of the license to practice law. A truly capable estate planning attorney has devoted years of their life to sharpening the legal knowledge and skills required to give clients solid, trustworthy advice and assistance. He or she also spends a considerable amount of time staying up-to-date on new developments in this always-changing area of law. The estate plans they create for clients are customized and individualized based on an in-depth conversation about the client’s current financial situation, plans, and what the client wants to happen after their death. Unfortunately, not everyone offering estate planning services is well-trained or well qualified. There are licensed attorneys who don’t focus their practices on estate planning, but dabble in the occasional Will or Trust. Even though they are attorneys, these practitioners often are not current on all the complexities involved in effectively counseling clients in this area of the law. 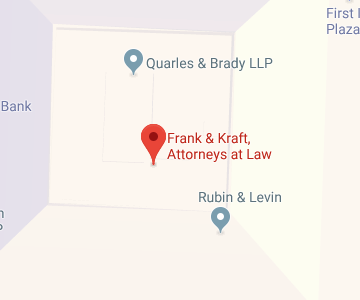 Then there are the non-attorneys. Certain banks, insurance companies, and investment brokers offer “estate planning services,” but their expertise lies in one small area, such as life insurance or annuities. They’re not equipped to look at the larger picture and help clients put together a comprehensive, effective estate plan. Worse than these organizations are the trust mills. Trust mills are staffed with non-attorneys, and they grind out estate plans that are essentially fill-in-the-blank, cookie cutter documents. Trust mill employees don’t have sufficient legal training, and they are not qualified to counsel clients or answer legal questions. However, they practice law without a license, providing documents to client upon client which are inadequate to meet their needs. Your estate plan is too important to entrust to someone who is unlicensed, unqualified, or merely a dabbler. An attorney who focuses on estate planning has the knowledge, skill, and experience to take a big-picture view in assessing your goals and putting an effective plan in place to achieve them.